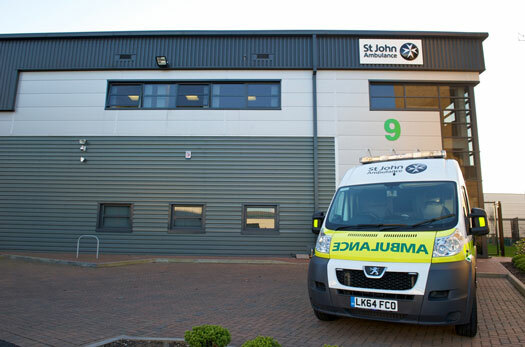 ADP Security Systems has installed high-tech security systems for St John Ambulance’s new state-of-the-art operating and training hub in northwest London. 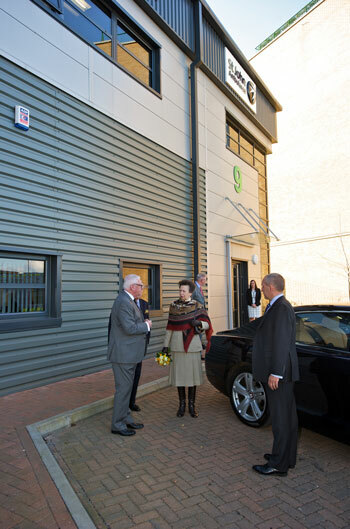 Security was paramount when Her Royal Highness The Princess Royal formally opened the new Park Royal base on 3rd March. The charity has taken over a brand new, empty shell warehouse at London’s biggest business park and has designed and fitted it out to accommodate its ambulance services, logistics team, Workplace Training Division and volunteer operations. ADP Security Systems carried out site surveys, designed and installed three systems that together will ensure the highest security for premises, property and staff to support the optimum efficiency of the site. A new networked IP CCTV system has a ‘speak to site’ tannoy system that can be utilised by security officers from their remote control room, to warn off intruders. If needed the emergency services can be called in. State-of-the-art cameras provide surveillance of outside areas surrounding the building as well as critical areas inside. High definition images are recorded on-site, monitored via the internal network, and watched remotely by security officers. A monitored Grade 3 intruder alarm system with movement detectors and contacts links to an Alarm Receiving Centre, which can contact ADP Security Systems for key-holding services, or the emergency services if needed. Thirdly, the new premises has a networked access control system with intercoms and card readers to ensure that only authorised personnel can enter. Staff and visitors are given bespoke devices allowing access to certain areas, to ensure security of the building, contents and staff at all times. Park Royal is one of the first warehouse developments in the UK to offer cutting edge technologies which reduce carbon emissions by more than 25% (of warehouses built in 2010). Use of the latest green technologies – including rain water harvesting, solar panels, air source heat pumps and natural roof lighting – means 20% of energy comes from renewable sources.